PALM SPRINGS — Chinese film “Dead pigs” won a jury award Saturday at the 30th Annual Palm Springs International Film Festival (PSIFF). 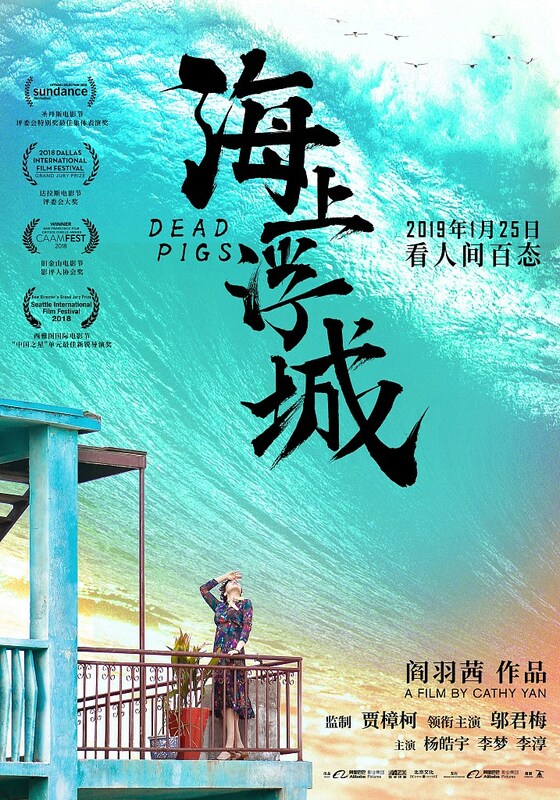 “Dead Pigs” is Yan’s directorial debut. It is inspired by a real incident of dead pigs floating in a river in China, and expands to cover the stories of five characters, namely, a pig farmer, a salon owner, a busboy, an expat architect and a rich girl. The narrative is set against China’s fast urburnization in recent years. The film premiered at Sundance Film Festival in 2018 and won a special jury award for Ensemble Acting, with stars including Vivian Wu, Haoyu Yang, and Meng Li. Well-known director Jia Zhangke is the executive producer of the film, which is scheduled to be shown in theatres in China and the United States later this month. Japanese film “Shoplifters,” directed by Hirokazu Kore-eda, received FIPRESCI (Federation Internationale de la Presse Cinematographique, or The International Federation of Film Critics) Prize for Best Foreign Language Film of the Year. Marcello Fonte from Italian film “Dogman” received FIPRESCI Prize for the Best Actor in a Foreign Language Film, and Joanna Kulig from Polish film “Cold War” received FIPRESCI Prize for Best Actress in a Foreign Language Film. Other categories in the jury awards include New Voices New Visions Award, which is presented to “Sofia” from France/Qatar directed by Meryem Benm’Barek; and Schlesinger Documentary Award, which is presented to “Ghost Fleet” of the United States directed by Shannon Service and Jeffrey Waldron. PSIFF will run through Jan 14. It screens 226 films from 78 countries.